Jenny Barnett catches up with a young Irishman making a name for himself in the bloodstock world in the U.S.
Ben McElroy - the Irish, they really look out for one another Photo HEALY RACING. ﻿﻿﻿The thorou﻿ghbred industry has become increasingly international. From the draw of the world’s richest race this weekend in Dubai, the prestige of Royal Ascot, to Ho﻿ng Kong’s International meeting and of course the Breeders’ Cup. In order to call themselves the best in the business, a horse must compete on a global stage. Indeed some may argue, the same is true for the people behind the horses - a CV in this industry is no longer complete without international experience. Few countries sell the ideal of self improvement better than the United States and the Irish have flocked to their shores for generations. It is no secret that many Irishmen and women are already competing at the forefront of the American thoroughbred industry. Most recently, two-year-old consignors Eddie Woods and Wavertree Stable’s Ciaran Dunne led the OBS March Sale as leading consignors, with Niall Brennan never too far behind. Those industry heavyweights have been around for some time now, however, there is a new wave of Irish talent already making their mark on the American scene. Ben McElroy, a native of Kildare, is rapidly becoming recognised as one of the keenest eyes for equine juvenile talent in the business. 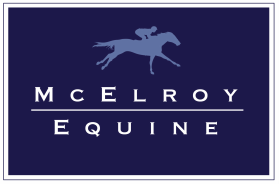 McElroy resides in the heart of America’s horse racing scene, the Bluegrass of Lexington, Kentucky where he owns and operates his own Bloodstock agency, McElroy Equine. 2014 was a stellar year for the business with with five Grade 1 performing graduates, including multiple Grade 1 winner Fashion Plate; Grade 1 Debutante winner, Sunset Glow of course, Royal Ascot hero and $1 million Grade 1 Breeders’ Cup Juvenile winner Hootenanny. Based on the Curragh, McElroy’s family were involved in many aspects of the horse industry from training racehorses to show jumping and it was this early experience he credits for his introduction to the racing industry. Upon leaving school in Ireland, McElroy went on to study Equine Science at Writtle College in Essex alongside longtime friends, Richie Galway, Racing Manager for Punchestown Racecourse and David Cox, owner operator of Baroda Stud and consignment. It was this course and the opportunity it presented with its year out that brought McElroy to American shores for the first time, working for Irishman Jim Fitzgerald's Knockgriffin farm in Lexington, Kentucky. ﻿had ridden out for a few trainers, but with Jim, it was my first time working on a big thoroughbred farm, and my first yearling prep. Jim Fitzgerald quickly became an early mentor to McElroy and although returning to complete his studies in England, Ben returned in the summers for the major North American sales at Jim’s request. 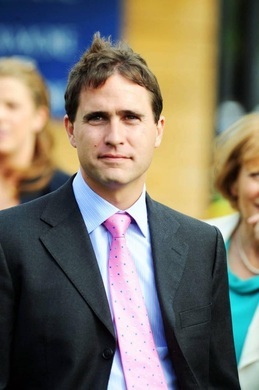 Upon graduation from Writtle, McElroy stayed closer to home going on to work for Darley’s Dalham Hall in Newmarket and later, Voute Sales. 1998, that encourages McElroy to finally make the move permanent. “It was a great experience, I groomed stallions for over three years, both in Kentucky and when they shuttled to Australia, at the time there were over 36 standing at Vinery. It was during this time as co-general manager at Vinery, that McElroy’s big break finally came. “Silver Train won the Breeders’ Cup Sprint as a three-year-old which I thought at the time, was a great accomplishment, I had been in touch with those guys as we were always looking for that type of stallion that could stand at that $10,000-$15,000 range. I approached them and we struck a deal the week before he won the Grade 1 Met Mile.” Soon after, McElroy made the bold decision to go out on his own. A bang is certainly right. McElroy Equine purchased Roshani for $135,000 out of the Keeneland January Sale in 2007, she went on to win the Grade 3 Gallorette Hand﻿icap in Mayand the Grade 2 Las Palmas Handicap in October. The partnership sold her a month later in the Keeneland November Sale through Irishmen Pat Costello and Grabriel Duignan's Paramount Sales for $950,000. The group included Coolmore’s Andre Lynch and Charlie O’Connor; Peter O’Callaghan of Woods Edge Farm and Tom Ryan of SF Bloodstock, all of whom have continued their own rise to the top within the American racing industry. “It was those partnerships and relationships that enabled me to self-start,” explained McElroy. “There is a good group here, the Irish, they really look out for one another and obviously we do a lot of business together. It was this strong start that introduced McElroy to one of his most successful and loyal clients, the Hamiltons of Silverton Hill LLC for whom he most famously purchased Group 1 National Stakes winner and now freshman sire, Pathfork. ﻿ “The opportunity came from shortlisting - book 5 and book 6, again starting off at the bottom. But out of that, I bought them a filly called Corlett for $50,000. She won a stake [race] and was later beaten only a length by the great Rachel Alexandra. McElroy recognises that although the medication situation does place a negative perception on the American racing and sales industries, he believes that there are many benefits in starting out both as an equine athlete and as an industry professional in the US. “I think the climate here helps a lot. As far as raising a horse here, the land is obviously very good, even though it’s very cold here in the winter, it is a dry cold. “With a good few of the horses - Pathfork, Long Lashes and Laughing Lashes we actually broke them over here and then sent them to Florida before sending them to Ireland at the end of April and I think that was a big advantage. McElroy gave praise to many programmes within the industry that encourage young people to travel and gain experience within the different facets of the business. McElroy made his own way in the racing world from the bottom up - from groom, to stallion man, to manager, to agent - a route he recommends as giving any young person the right foundation to make it in the industry. In particular he recognised America’s love story with their own ‘American Dream’ as a factor in enabling the success and establishment of young people within an industry with traditionally tough barriers of entry. However, travel or not, America or Timbuktu - McElroy’s advice for anybody starting out is straightforward.